Phoenix Residential Society is a charitable non-profit community based health care organization providing psychosocial (psychiatric) rehabilitation services to persons in the Regina Qu’Appelle Health Region with psychiatric disorders, concurrent disorders (psychiatric & substance abuse), persons with acquired brain injury (ABI) and other cognitive disabilities. 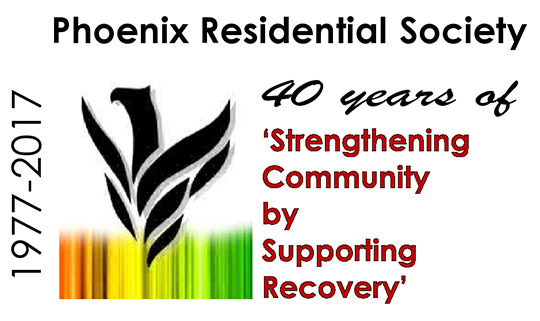 Phoenix was incorporated in December 1977, and opened Phoenix House in 1979, the first psychiatric rehabilitation group home of its kind in Saskatchewan. Phoenix operates under the direction of a Board of Directors made up of a cross-section of community members. The Lieutenant-Governor of Saskatchewan is an Honourary Director. Phoenix receives funds from a variety of sources including the Regina Qu’Appelle Health Region, the Saskatchewan Ministry of Health and Saskatchewan Government Insurance. A small percentage of revenue is provided through self-payers, and charitable donations. We provide income tax receipts for donations. Strengthening Community by Supporting Recovery. To provide recovery oriented services that foster empowerment, promote hope, and build connectedness in the community. What Are Our Principles and Values? Phoenix Residential Society is guided by the following principles & values of Psychosocial (Psychiatric) Rehabilitation. Strengths-based: we build on the strengths & capabilities of individuals. Person-centered: we address the unique needs of individuals, consistent with their values, hopes & aspirations. Empowerment: we promote self-determination & empowerment. Quality of Life: we strive to help individuals improve the quality of all aspects of their lives; including social, occupational, educational, residential, intellectual, spiritual & financial. Community Integration: we support full integration of people in recovery into their communities. Personal Support Networks: we facilitate the development of personal support networks by utilizing natural supports within communities, peer support initiatives, & self- & mutual- help groups. Culturally relevant: we recognize that culture is central to recovery & strive to ensure that all services are culturally relevant. Health & Wellness: we promote & assist in developing & using individualized wellness & recovery plans. Hope & Respect: we convey hope & respect, & believe that individuals have the capacity to grow & learn. Evidence-based: we emphasize evidence-based, promising & best practices.